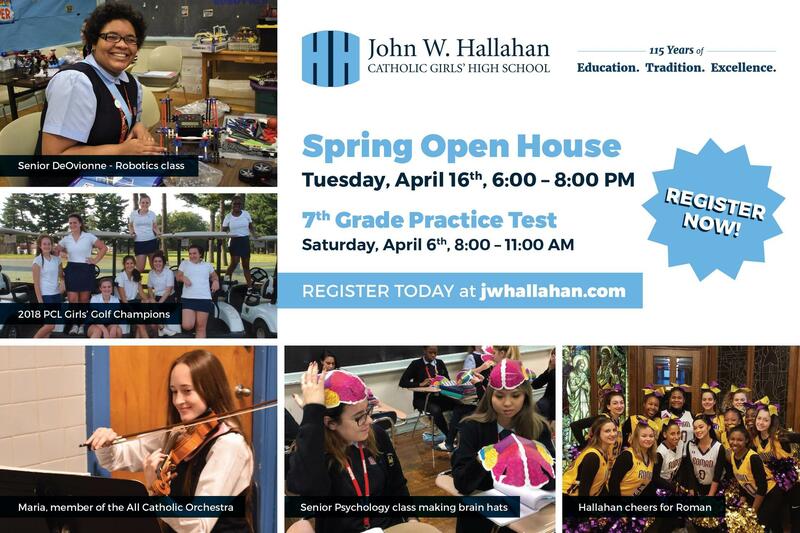 Important dates to remember . . . .
We have two more 7th grade practice test dates scheduled for April 23rd & April 24th from 4pm - 7pm at Hallahan. This is a great way for 7th grade students to experience what the admissions/scholarship test will be like and to learn what areas are strengths and where improvement is needed.